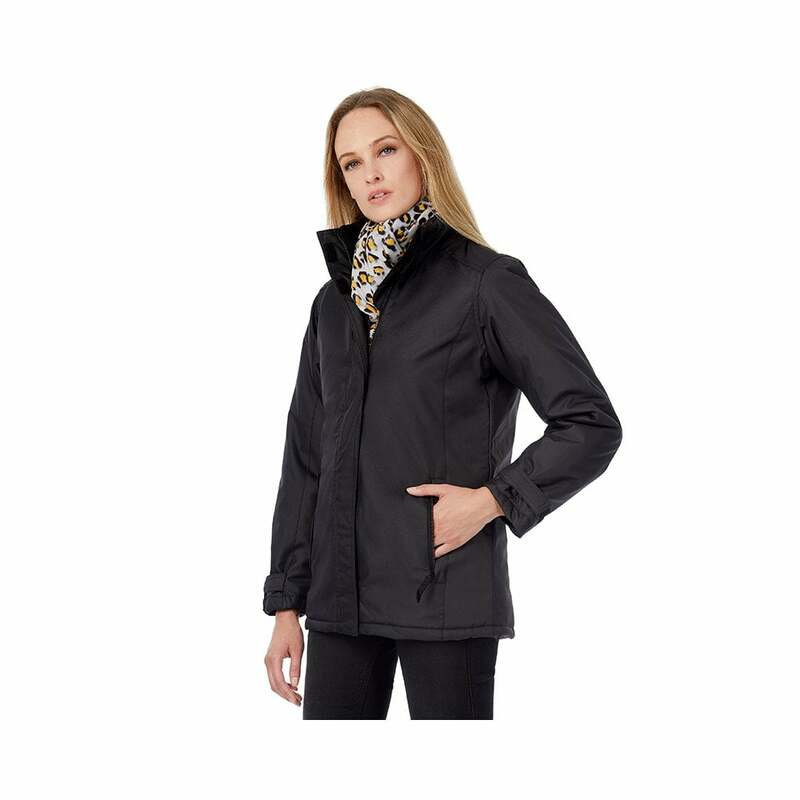 B and C Collection Real+ /Women this is a warm and practical multi-functional winter parka, which offers protection all year round, the fabric of this jacket is 100% oxford polyester and the lining is 100% polyester, quilt padding. This parka jacket has the following features, full zip opening, concealed hood inside the collar, 2 front pockets, adjustable cuffs and a high collar. There are 6 classic colours to choose from including deep red and orange. Sizes start at extra-small and go up to 2 extra-large.